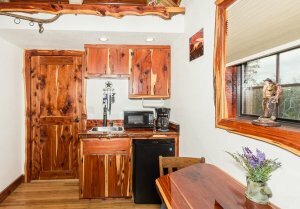 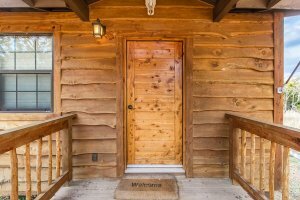 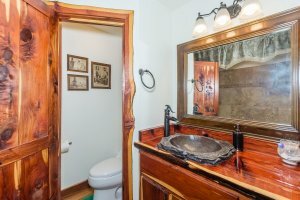 Cedar Bliss Cabin is hand - crafted by the owner. 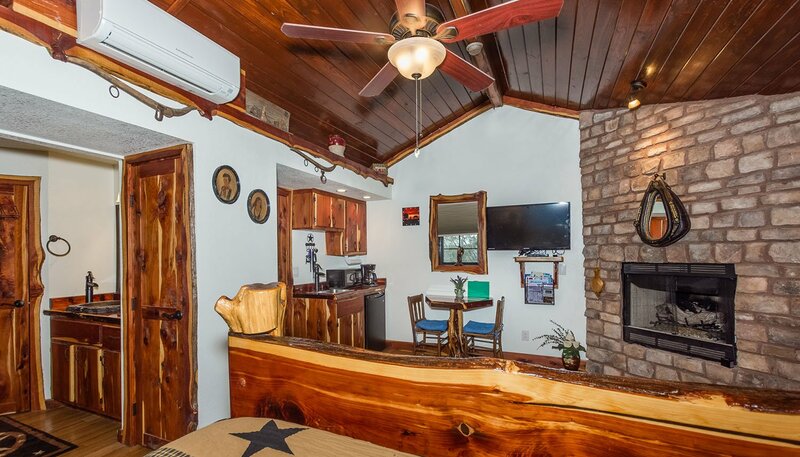 This cabin has everything you could possibly need for a nice quiet getaway. 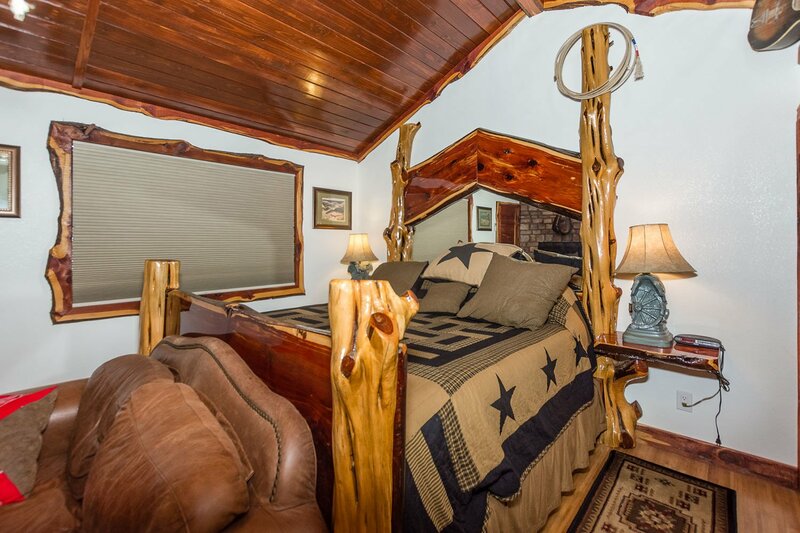 Featuring a nice king-size bed with a hand crafted cedar head and footboard. 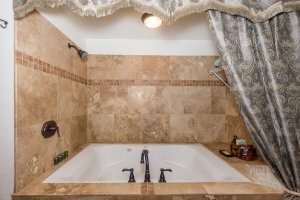 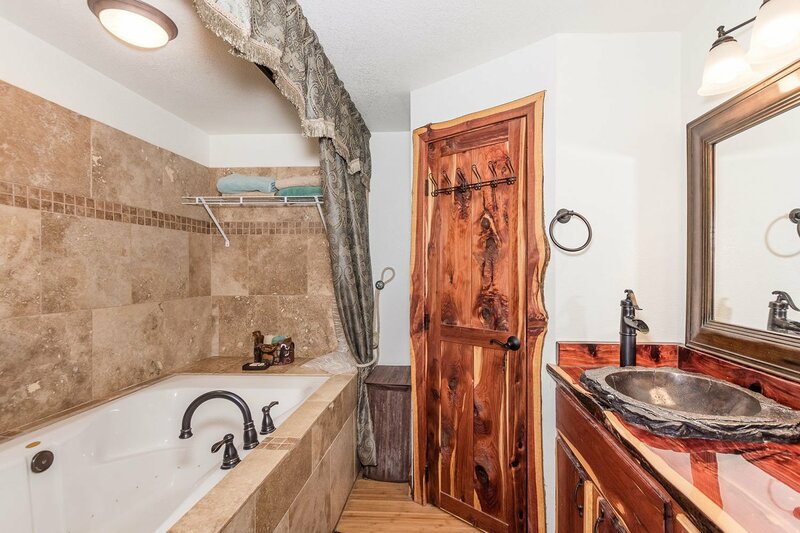 Located next to the bed is a nice large double Jacuzzi tub with shower. 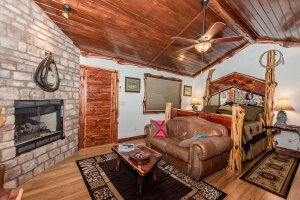 The open concept has a small sitting area with a love seat, along with a gas fireplace to enjoy on those cold evenings and a flat screen TV. 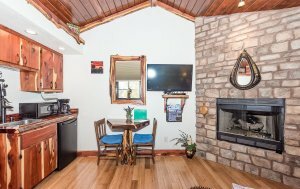 The cabin has a small kitchenette along with a nice breakfast area for two. You can sit on the front or back covered porches and enjoy the wildlife. 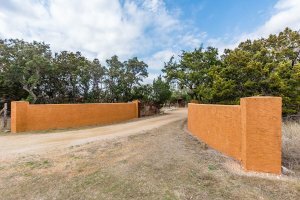 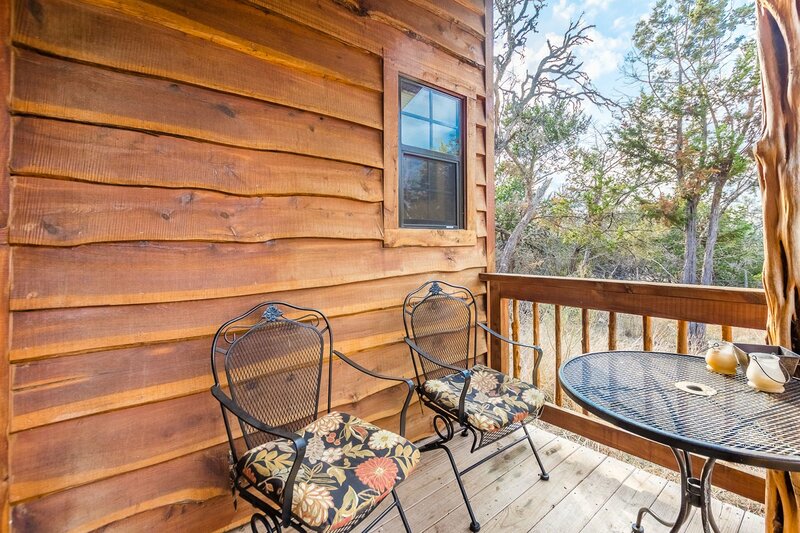 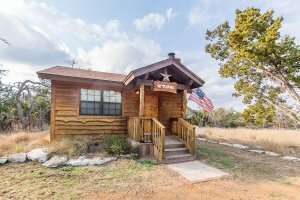 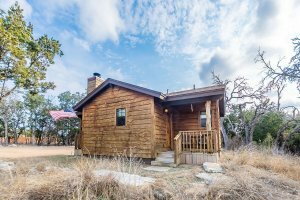 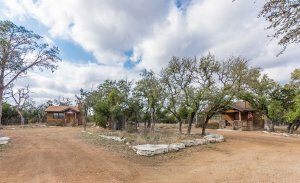 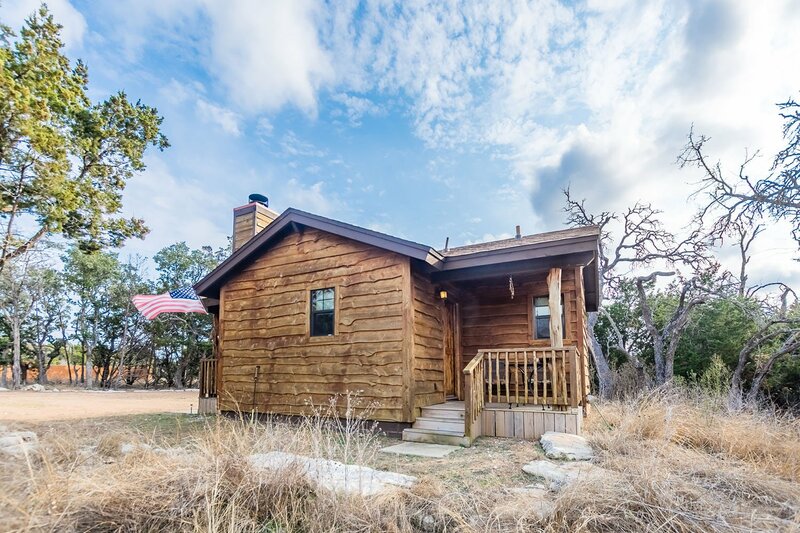 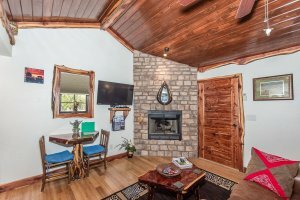 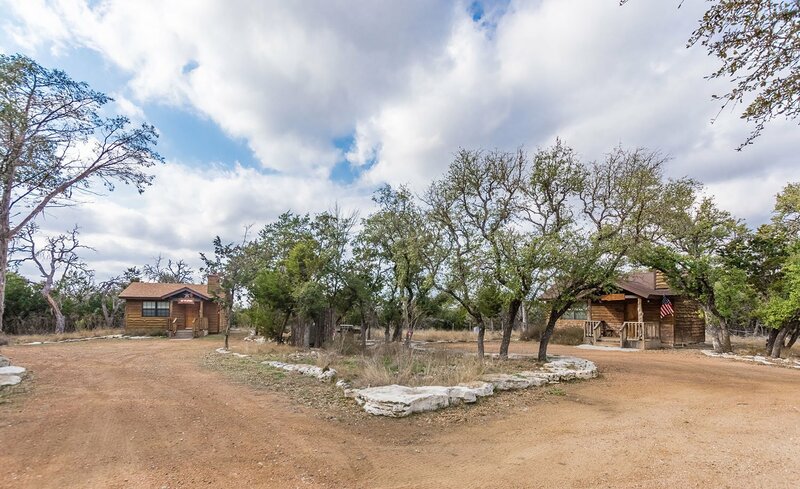 Treat yourself with this unique cabin in a beautiful Hill Country setting.